Dysfunctional Fascia is linked directly to the increase in sympathetic nervous system response. When we consider how many nerve pathways and sensory neurons there are in fascia it is no wonder that prolonged stress, anxiety and fear can have an impact on the Myofascial network and hold habitual patterns of stress or an acute traumatic event. Myofascial pain may lead to a change in posture which in turn can affect the behaviour of the dog and also how other dogs read them. 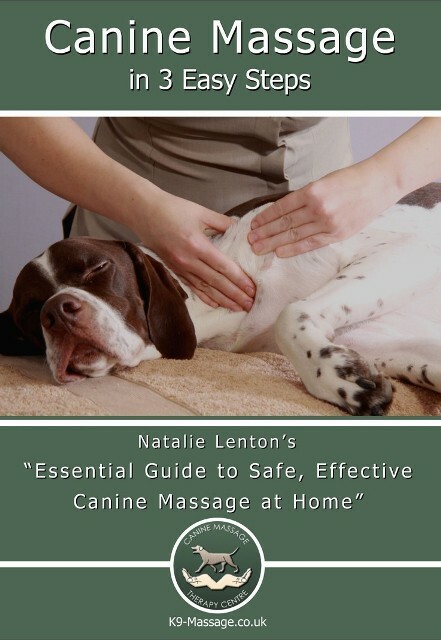 Canine massage is not a one size fits all approach and a good therapist should be able to get a good understanding of your dogs history and will work safely with them at all times. 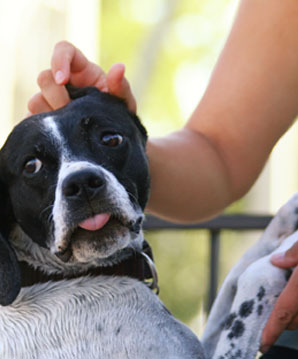 Many owners fear that their dogs will not settle for massage and are surprised to see their dogs response when the dog is handled empathetically, with care and consideration and the correct massage techniques are used to calm them and relieve Myofascial pain from across the body. A therapist should also be able to assess for pain related muscular issues and have an understanding of common orthopaedic conditions that can affect a dogs mobility and personality. If you see any the following then Canine Massage Therapy is a worthwhile consideration when treating your dogs anxiety levels. 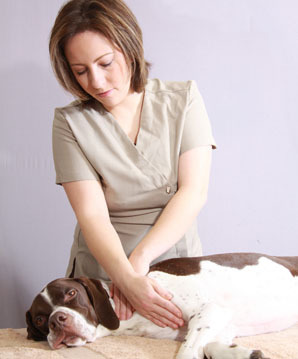 Stimulation of the parasympathetic nervous system is achieved with a number of canine massage techniques and the somatosensory nervous system is also addressed via Myofascial release to improve nerve and muscular function.